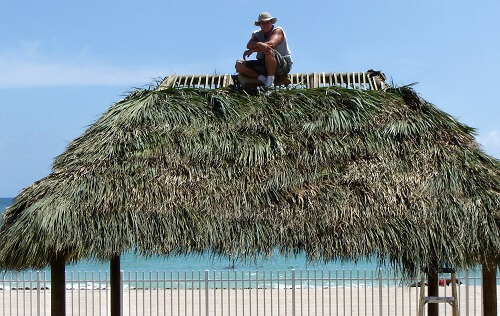 Specializing in tiki hut & tiki bar re-thatching & repair throughout the state of Florida. We offer repair and re-thatching service for both residential homes as well as very large commercial business tiki huts and tiki bars. At Florida Tiki Huts we know that each tiki hut or palm hut is uniquely designed for each home or business and requires the much needed experience to properly repair and re-thatch a palm thatched roof the first time every time.